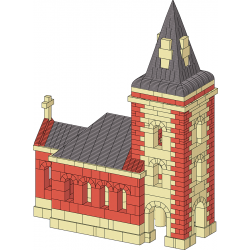 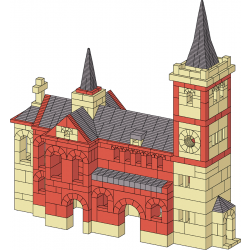 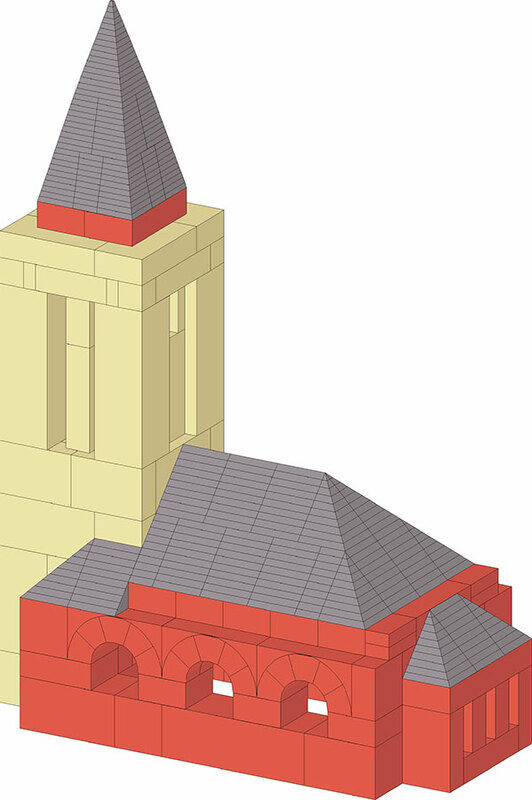 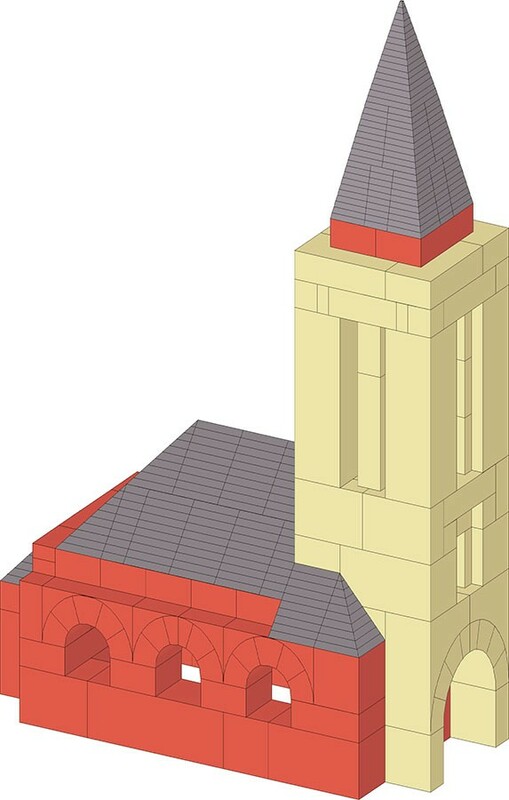 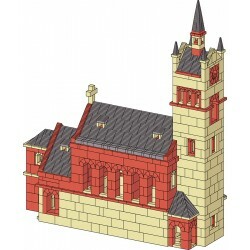 This building plan includes elevation and sectional drawings as a replica of the Bad Waldliesborn church. 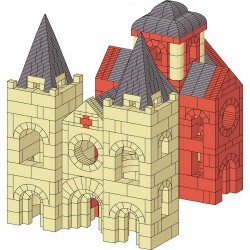 The architectural plan features a single tower with an entrance. 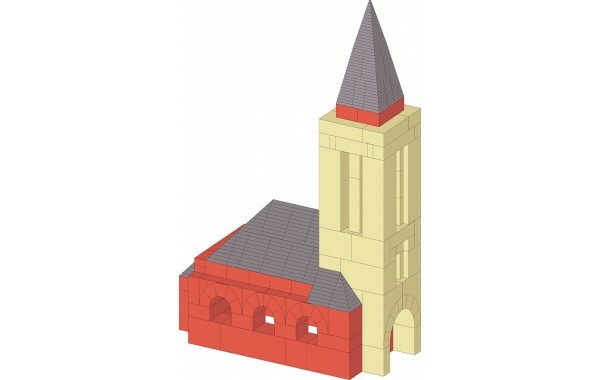 The replica is unique in that the tower is large in proportion to the nave.